Mr. Waldenstein, Ole Golly, and Harriet take in a movie in QCT’s production of HARRIET THE SPY. Hello all! We are having a fabulous fall at QCT. 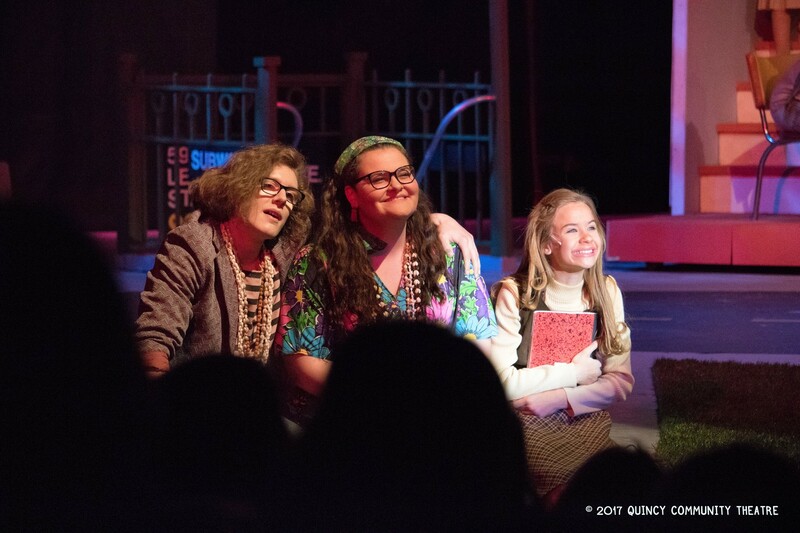 I’m so proud of last weekend’s sold-out run of Harriet the Spy. This 1960s tale was a great challenge for the student actors, and gave us a lot of intriguing questions to dive into throughout the process! Things are already in motion for our 2018 season. I’m very excited to start work on our student theatre musical – Anne of Green Gables. It’s a charming adaptation by Gretchen Cryer and Nancy Ford. Auditions are December 4-5; I can’t wait to get started! The rest of the student theatre season includes Impressions of Yesterday, Elephant and Piggie’s “We Are In a Play!”, and The Witches. There will be lots of new stories to discover in the new year. Previous Post New Photos, Auditions, and More!